Finnish Air Force Capt. 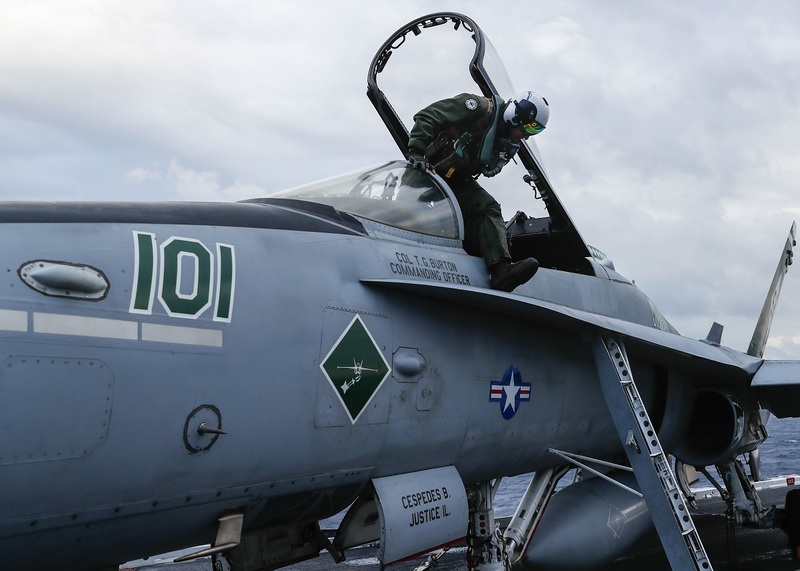 Juha Jarvinen lands an F/A-18C Hornet assigned to the Sharpshooters of Marine Strike Fighter Training Squadron (VMFAT) 101 on the flight deck of the Nimitz-class aircraft carrier USS Abraham Lincoln (CVN 72). Finland now has a fighter pilot qualified for aircraft carrier ops after Capt. 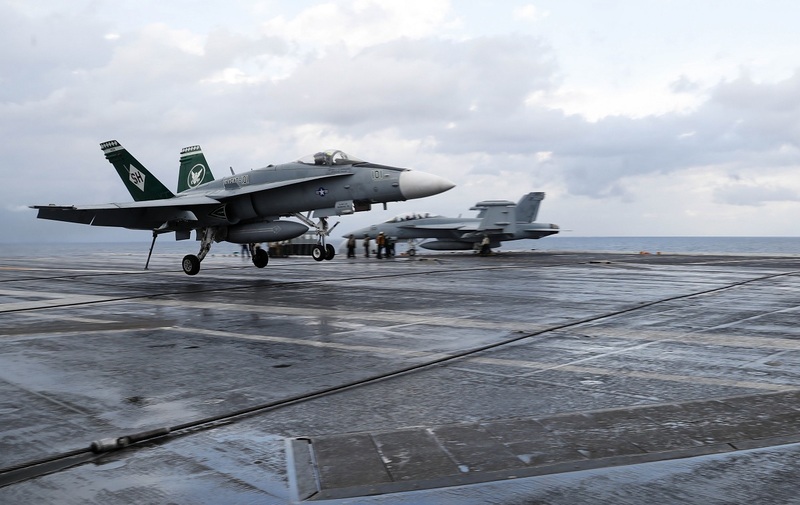 Juha “Stallion” Jrvinen performed an arrested landing on USS Abraham Lincoln (CVN-72) on Mar. 17. Jrvinen is currently attached to Fighter Attack Training Squadron (VMFAT) 101 “Sharpshooters,” to be trained as pilot instructor. As explained by Mass Communication Specialist 3rd Class Allen Lee, USS Abraham Lincoln Public Affairs, in the article First For Finland: Lincoln Welcomes Partner Nation Pilot, when Jrvinen was asked about his landing aboard Abraham Lincoln, his face lit up as he reflected on this once-in-a-lifetime experience. Finnish Air Force Capt. Juha Jarvinen exits his F/A-18C Hornet assigned to the Sharpshooters of Marine Strike Fighter Training Squadron (VMFAT) 101 on the flight deck of the Nimitz-class aircraft carrier USS Abraham Lincoln (CVN 72). Jrvinen is a part of the first pilot exchange between the U.S. Marine Corps (USMC) and the Finnish Air Force. He was hand-selected for the program by his superiors for his work ethic. Flying in the Finnish Air Force for 15 years and instructing for the last five, he has earned every qualification available as a Finnish pilot. This program not only allows officers from the U.S. and Finland to build and improve upon their pilot training programs, it also strengthens the partnerships between these two countries and their military services. U.S. Marine Corps. Capt. Michael Humiston congratulates Finnish Air Force Capt. 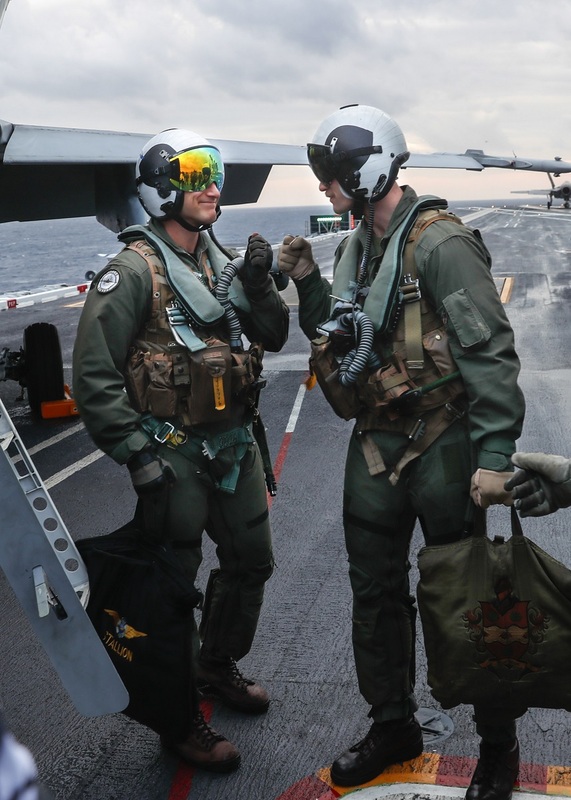 Juha Jarvinen upon completion of an arrested landing of an F/A-18C Hornet assigned to the Sharpshooters of Marine Strike Fighter Training Squadron (VMFAT) 101 on the flight deck of the Nimitz-class aircraft carrier USS Abraham Lincoln (CVN 72). Previous articleLegendary Soviet test pilot Georgy Mosolov has passed away. He had been the first to fly the MiG-21.